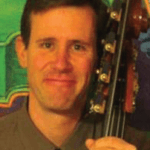 James Karrer is Principal Double Bassist of the Tucson Symphony Orchestra, a position he has held since 1994, and Assistant Principal Bass of the Britt Festival Orchestra in Jacksonville, Oregon. 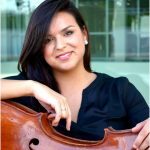 He has served as Acting Assistant Principal in the Colorado Symphony Orchestra, Principal Bass in the Aspen Chamber Orchestra and, at age 14, Principal Bass of the Central Ohio Symphony Orchestra, and has also performed with the Columbus Symphony Orchestra and Louisiana Philharmonic. Mr. Karrer received both Bachelor’s and Master’s degrees in performance from The Juilliard School were he studied bass with Eugene Levinson and composition with David Diamond and Stanley Wolfe. As a soloist Mr. Karrer has performed Johann Baptist Vanhal’s and Frantisek Hertl’s Concertos for Double Bass, Bottesini’s duo Concerto Passione Amoroso with Gary Karr and True Concord Voices & Orchestra. Compositions by James Karrer have received performances by pianists Angeline Ng and Carl Cramner, organist David Gay, and the Tucson Symphony String Quintet.